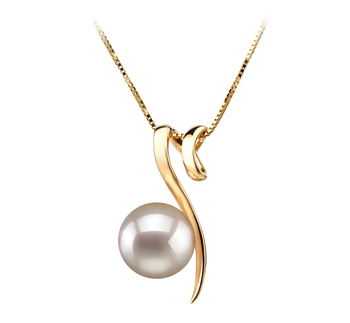 Classy and elegant the 14K Yellow Gold Pendant and White Pearl Necklace make a great combinations and pair off excellent in colour combination. The 14K yellow gold pendant makes its point and makes it in a curve defining way. 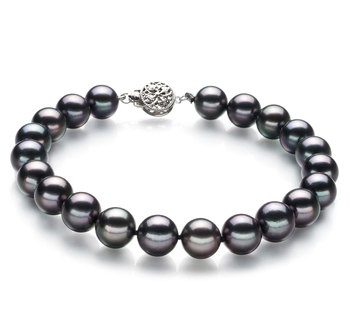 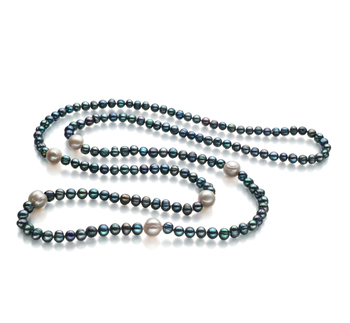 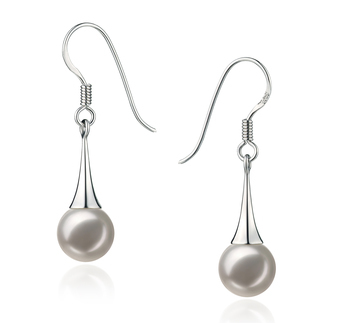 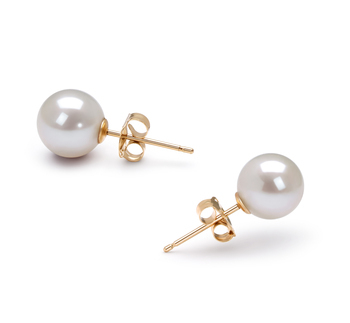 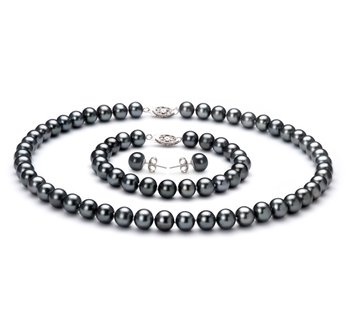 Intentionally pointed and set alongside of the white 8-9mm pearl, you know it means business in a woman’s way. 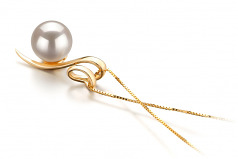 The out of round shape lets you know the business has been learned and experienced, it shows the true character of the white pearl with its high quality and refined AAA mirror like image shining through. 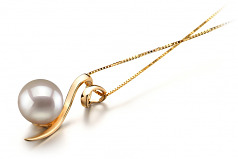 Take a look at the overall picture and appreciate the overall value of the high quality and true craftsmanship of the White Japanese Akoya 14K Yellow Gold Pearl Pendant. 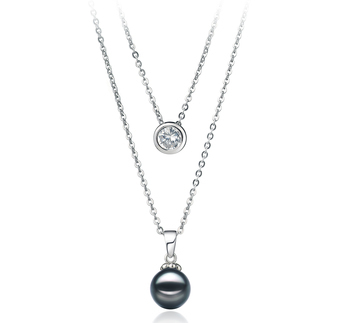 Show only for "Dionne Pendant"